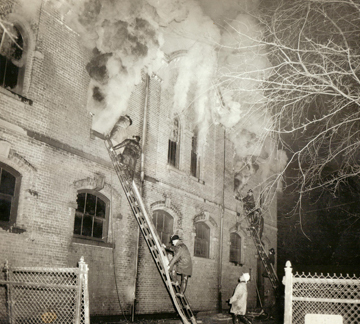 The Garden City Fire Department’s rich heritage is rooted with the Independent Volunteer fire companies that began to form in the village in 1899 after a devastating fire at the Garden City Hotel. 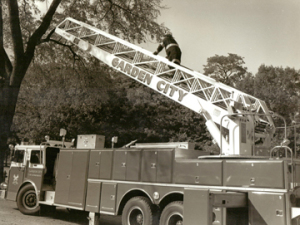 Then in 1920, in order to be more organized and bring these independent companies together, 31 local residents became “charter” members of the Garden City Fire Department, Inc. formally organizing the volunteer fire department. Soon after, the department was integrated into the Village Government. Since 1920, hundreds of resident men and women have proudly served in the ranks of the Volunteer Fire Service in Garden City. Under the direction of a Volunteer Fire Chief and 3 Assistant Chiefs, the department utilizes a three tier approach to providing its vital services: with quality training and equipment, quick response and comprehensive fire inspection and prevention programs. Your volunteer firefighters train weekly to ensure their readiness for the various emergencies that may present themselves, including fires, motor vehicle accidents, carbon monoxide incidents, hazardous materials incidents, electrical emergencies, severe weather response and more. In addition, throughout the year, firefighters attend various courses and live fire burn training at the Nassau County Fire Service Academy. In support of response, the department has a fleet of apparatus that include three certified pumpers, two certified ladder trucks, a heavy rescue and command support vehicles. Within the fleet of apparatus, the department incorporates state of the art technology including thermal imaging cameras, hazardous gas monitoring equipment, mobile computers, and hydraulic rescue equipment. The department also provides a comprehensive fire inspection and prevention program to the village. Program enhancements include computer database pre-plans of area occupancies, rigorous fire inspections of schools, businesses and multi-family dwellings, and a devotion to public fire safety education through the department’s Fire Prevention & Education program. Each year the department educates students and residents through in-house safety classes, its annual fire prevention week program and fire safety lectures throughout the community including Adelphi University, area apartment buildings and local businesses. The department is always looking for new volunteer members and has a year-round open enrollment. 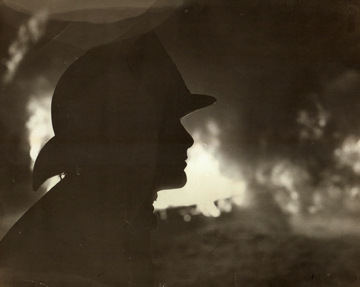 Some regard being a volunteer firefighter as being one of the highest forms of community service. It is a great opportunity for residents to give back to their fellow neighbors in their time of need. Some of the benefits that come with being a volunteer firefighter include: free tuition at Nassau Community College as sponsored by the County of Nassau, real property tax reductions, great camaraderie, lasting friendships and more. If a resident is interested in joining the department, visit our recruitment page.